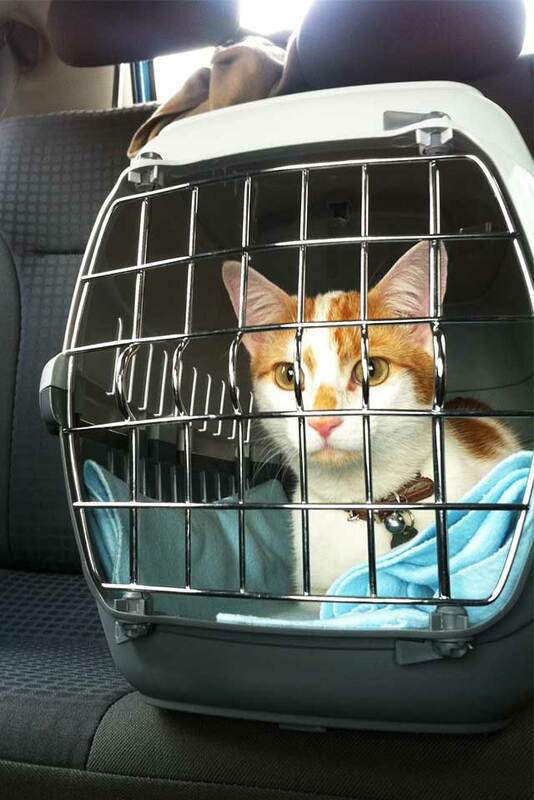 From time to time you have to transport your cat in the car because she or he needs to go to the vet, you go on holiday or take the velvet paw to a pet board. 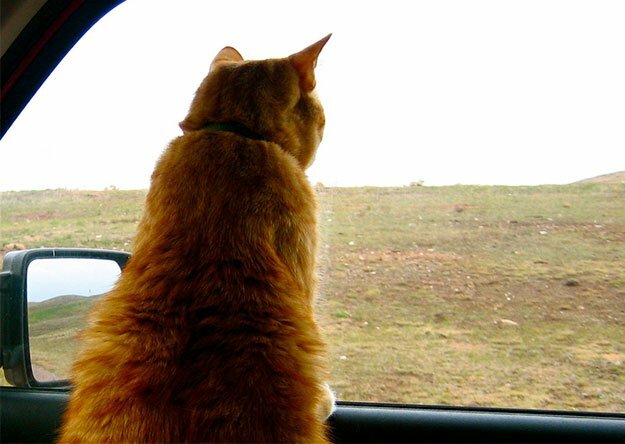 Cats, however, appreciate nothing so much as their familiar surroundings and cannot be excited about driving. That’s why many cats are extremely bad passengers who not only loudly comment on your driving skills but also tend to vomit and nausea or get panic attacks during transport. 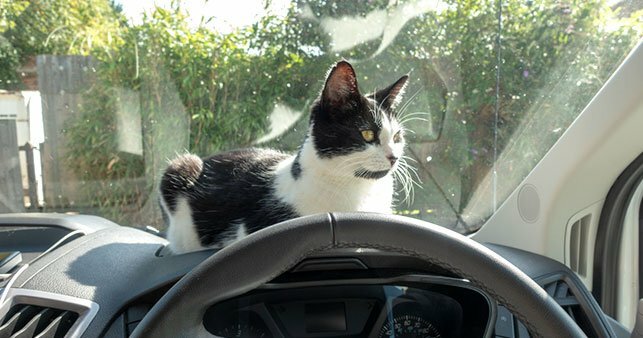 Therefore, you should never let your cat drive in the car without a suitable transport box. Here are some tips and tricks for a safe trip. Never drive with the cat moving freely in the car. Always put your cat in a safe sealable, suitable transport box. Choose a sturdy transport box that can be opened from above and from the front. 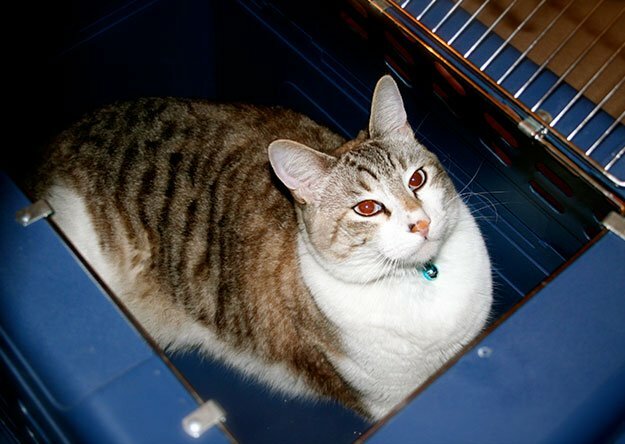 In addition, the top should simply be taken off the bottom part, so that an anxious cat can remain seated in the bottom half of the box when examined. Set up the transport box at home in a place where it can be considered “part of the furnishings ” so your cat gets used to the box. That will help your cat to adapt to his transport box. Make the box as comfortable as possible for your cat. A solid rug in the size of the box prevents your cat from slipping during transport. Put a garment or blanket with your smell or the smell of your cat in it (for example, you can gently rub a soft garment on your cat’s face so that it takes on its smell). 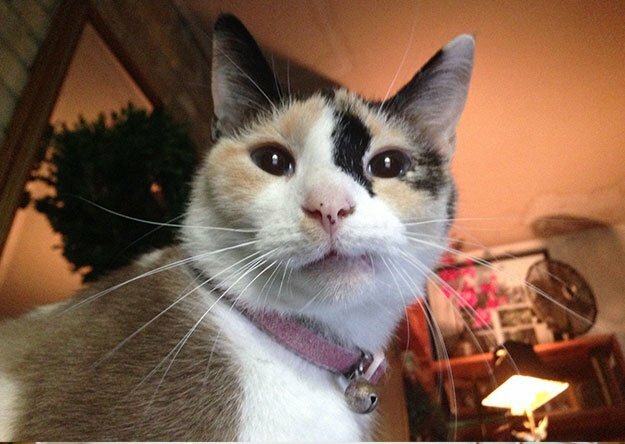 To soothe the cat, you can spray a synthetic facial pheromone on the garment at least 30 minutes before departure. 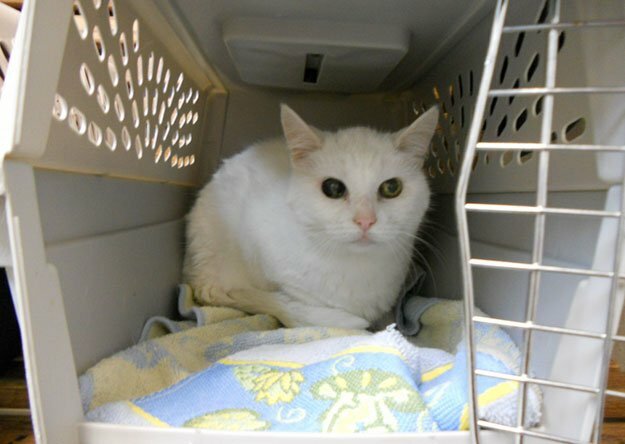 It is always advisable to bring a fresh blanket as a substitute for the return trip, as your cat may vomit while driving into the pits and shed feces or urine as it is sick or nervous. If your cat does not voluntarily get into the transport box, gently take her by the arm and carefully insert it through the top opening into the box. Alternatively, you can first take the top half of the box completely off and then put it back on when your cat has taken a seat in the bottom part. If despite your best efforts, your cat strictly refuses to get into the box, you can wrap it in a thick towel ( with its smell or sprayed with Pheromone ) and then carefully place the cat with the towel in the box of the top. In the car, please clip the transport box behind the front seat or fasten it with a safety belt, so that it is not shaken while driving. 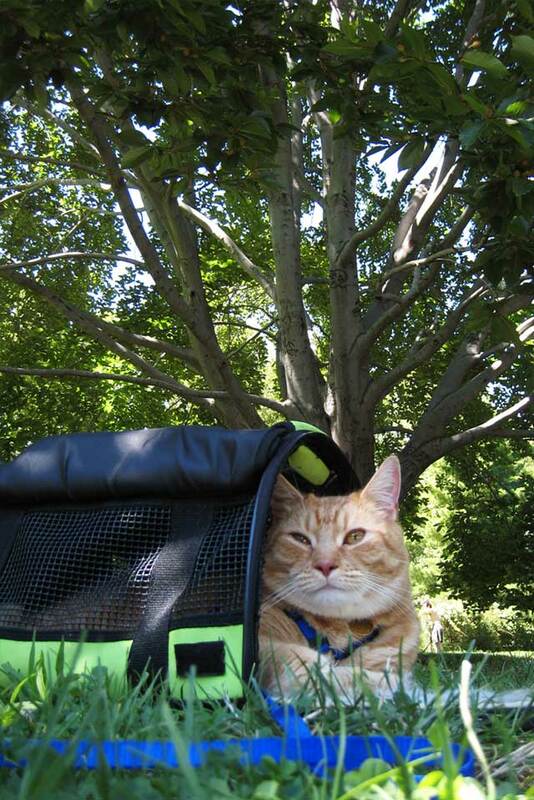 Don’t Forget: The quieter the owner, the better the cat feels. Some cats like to look outside while driving, but most feel more comfortable covering the box with a towel. If you walk from the parking lot to a meeting or a free area, avoid shaking the box or bumping against your legs. 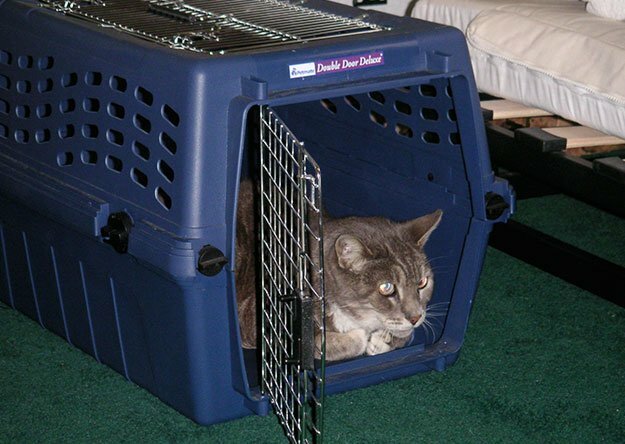 Try to hold the cat kennel or carrier box stable so that the cat will feel more comfortable and safe. Let your loved one breath some fresh air on stops. You should also comply with these rules on your way home as well. Just keep the same rules running when you start to drive back home. 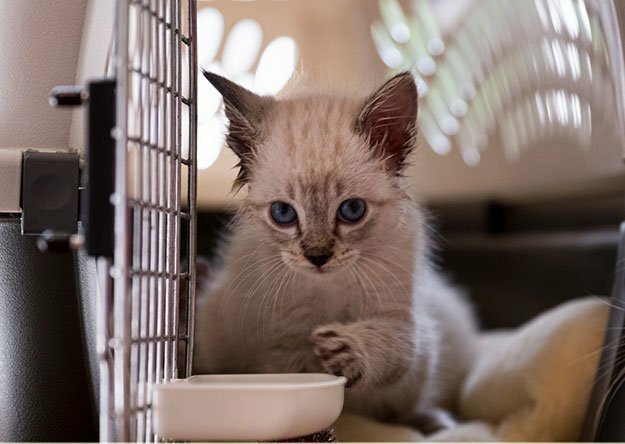 If you own multiple cats, consider some precautions when bringing one of your cats back home after a visit, especially after a longer stationary stay. Since it still carries smells from a visit, problems could arise with the other cats. First, let your homecoming cat sit in the box for a few minutes and watch the other cats react. If all cats stay calm, you can open the box and let the cat to their roommates. 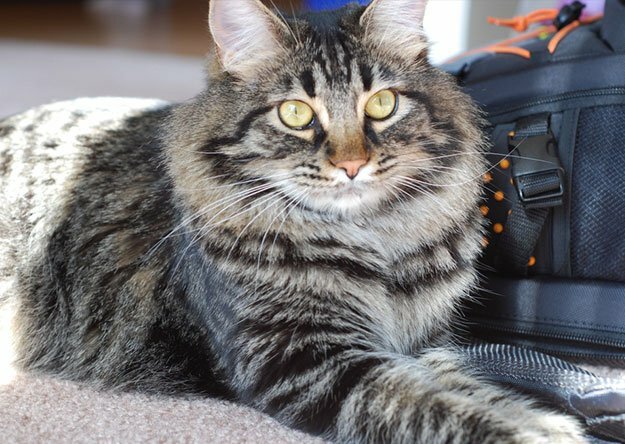 Feel tensions between your cats, first keep your returning cat in a separate room for at least 24 hours (with a litter box, food, and fresh water, of course), so that she returns to her usual odor.